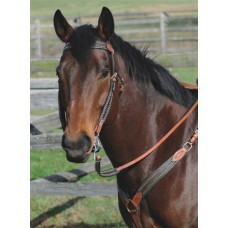 Black is Booming! 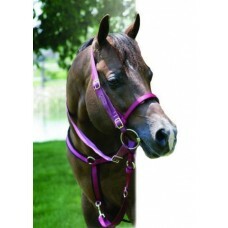 A traditional headstall spiced up with SS dots, fashionable buckstitching, silver ..
A real show stopper, this collection features a generous dose of sparkling crystal accents, elegant .. 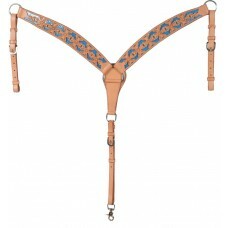 Affordable and chic, our new Blue Feathers collection features intricate Floral and Feather tooling ..
Teardrop cheeks with hair inserts, silver spots and star conchos. 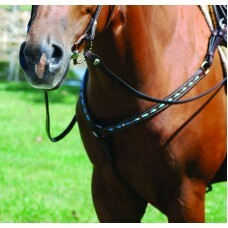 Available in Light Oil (-4) or Dar..
A handsome series by any measure. 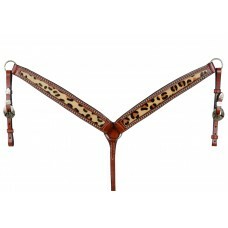 Dark brown hair with spotted border and black leather edging make ..
Get noticed in the ring with these funky Turtle sets. 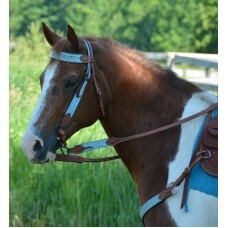 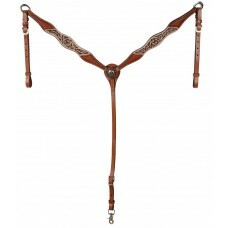 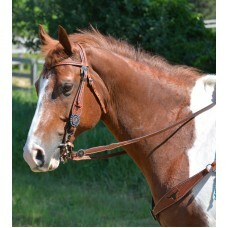 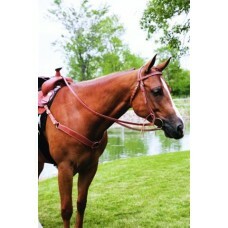 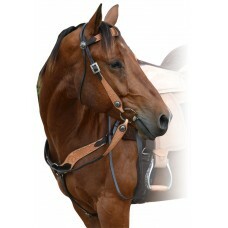 Matching headstall, breastcollar and reins w.. 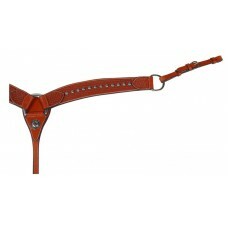 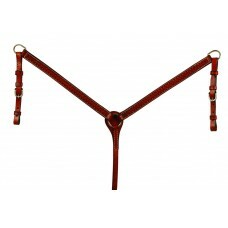 Premium U.S. tanned harness leather with hand-rubbed finish. 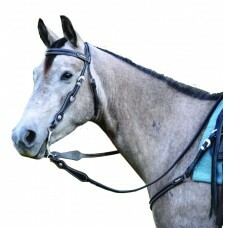 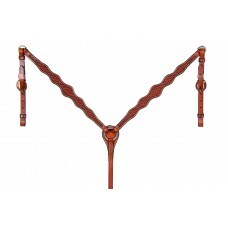 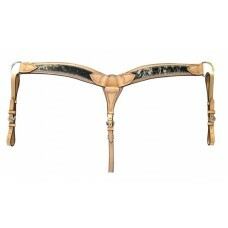 All headstalls are 5/8 " with ties at .. 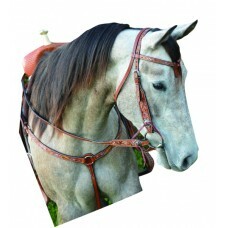 Designed to match our #247682 Sierra Floral High Trail Saddle, this series features supple Dark Bro..
A classic collection featuring supple tooled leather, floral rosettes and spots. 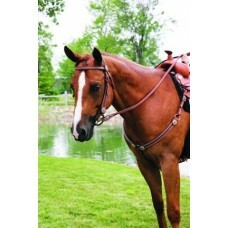 With flared cheek a.. 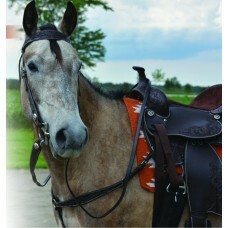 Dramatic and distinctive, our Holland series features supple black leather, silver spots & conchos, .. 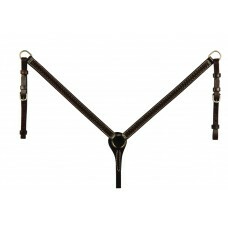 Designed to match our 247685 Sierra Indy Round Skirt Trail Saddle, this series features Dark Brown l..
Brass coloured spots & conchos add flair to this hard-working harness leather series. 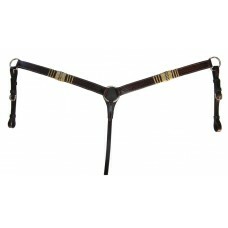 Available in a..
A dramatic mixture of light and dark leather, the Tempest Collection features detailed tooling, spot..
Classic meets classy in this Dark Oil wavy browband headstall. 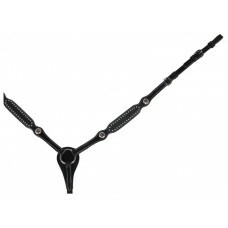 Classic waffle weave tooling compleme..